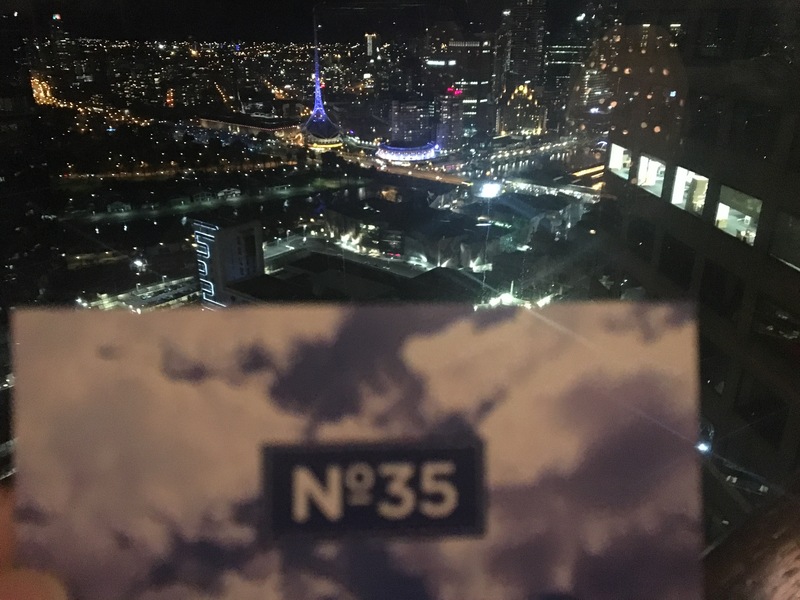 … is what I’d describe No 35 at Sofitel. 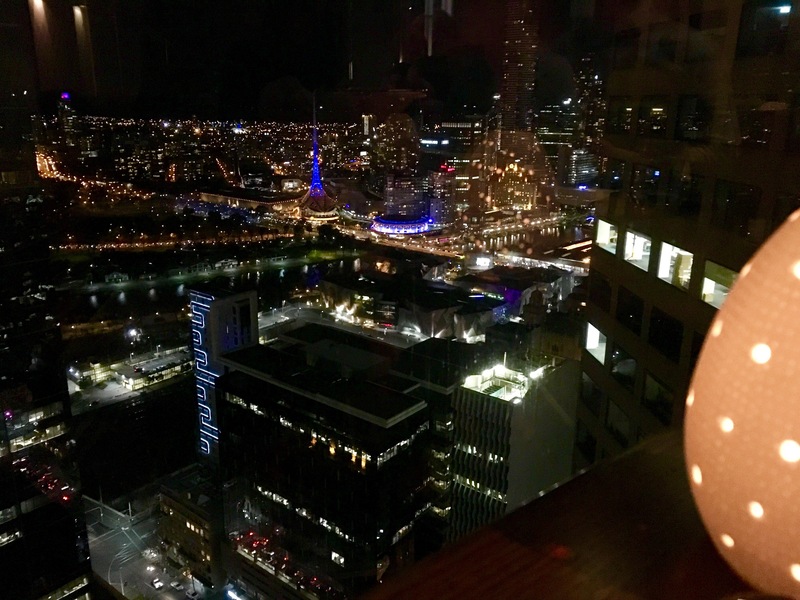 We celebrated our 8th Anniversary viewing at the top of Melbourne CBD. It was beautiful, clear skies and relaxing overlooking the city movements on a typical Friday night. OK, short and sweet, I’d definitely return again, why? It’s a la carte menu meaning you don’t have to spend a banquet amount of money and stuffing yourself full in order to admire this beautiful view. 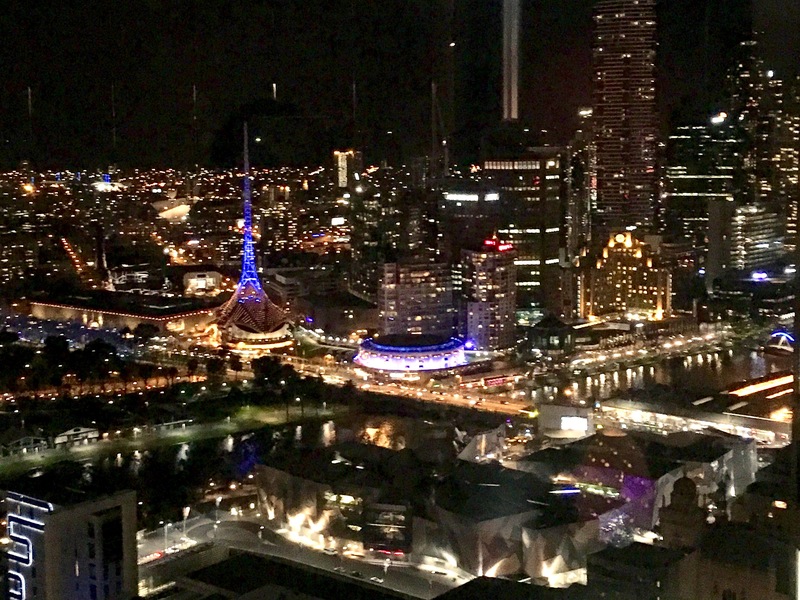 I’d have to say this could be my little hide out – one of the best views of Melbourne. [better than Eureka 89 – stay tuned for this review]. He had the Virgin Mojito and I had the Lychee, Apple and Lemongrass. Mojito was superbly fresh with the mint kick and my lychee, Apple and Lemongrass felt slightly diluted.Although… The lychee that came in the drink was nice and sweet! It had a lemon-y taste with some sparkling. Then came our bread, it wasn’t amazing bread but it was nice and soft. the crusts were hard to chew. (we loved the butter). King fish Ceviche ($26) & Salt and pepper prawns with chilli aioli (on Special $25) were our entrees. They were both hands down – impressive. I loved the King fish has it was so so fresh and the dumplings on either side (fresh oysters) no fishiness. The salt and pepper prawns were quite ordinary but the dipping sauce made it all better! Snapper ($49) came by with various punches of flavour that you could not imagine. It felt asian inspired.. 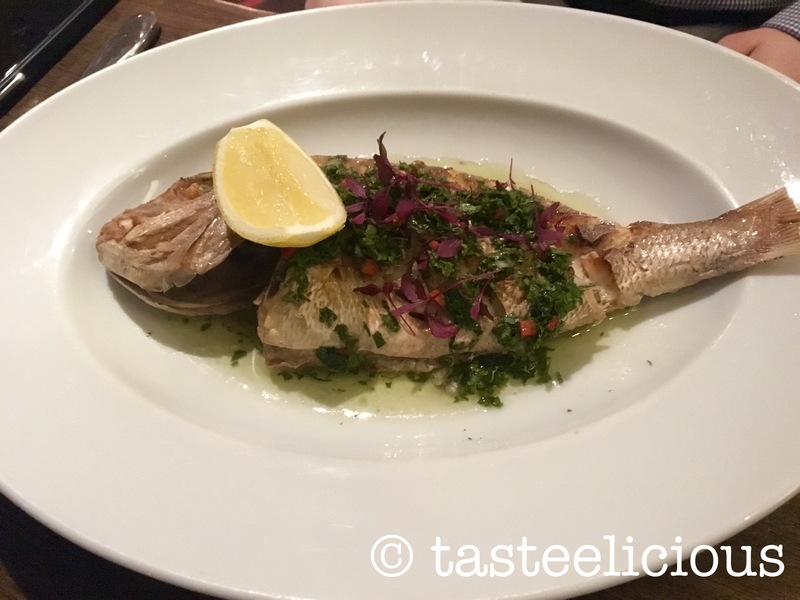 The only critique is bones… I would have indulged the snapper so quickly had there not been any small bones that surprised you every time you wanted to enjoy the flavours. 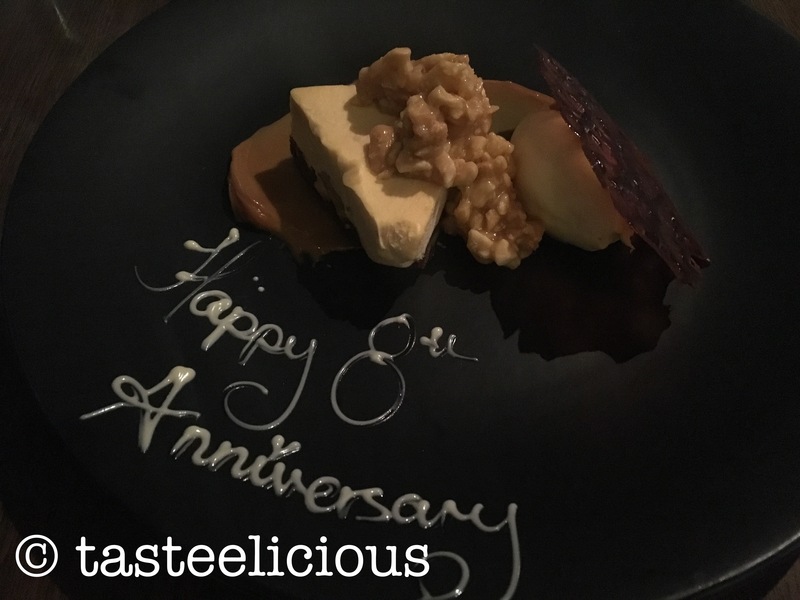 The night ended with a surprise of “Happy 8th Anniversary” on each of our sweet plates. It’s nice to be greeted with something that it personal to each customer – good job No35! He had the Go Nuts and I had the Bush Tucker. Go Nuts was so nutty! 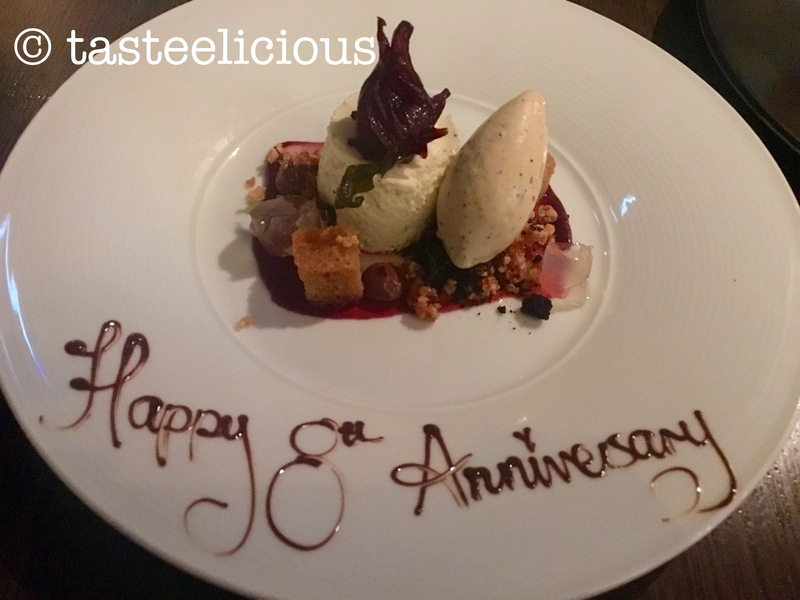 Peanuts, salted caramel, praline… we both liked the burnt caramel that sat above the ice cream. it balance all the sweetness going on. And of course he loved his choice of dessert that night being a “nutty”. I’m not as big of a fan as he is with nuts, so i was very happy with my choice of dessert. It was Lemon myrtle with vanilla bean ice cream. 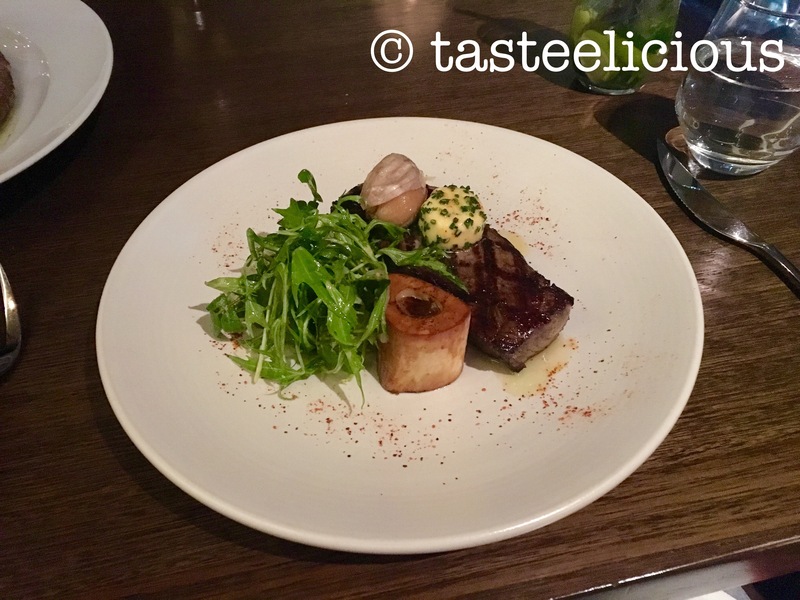 The clear jellies added so much burst of acidity – it was just right. There were berries and crunches in the dish and all were amazing. loved dessert! I believe they have the Spring menu now so only a few of the above dishes will be made available. But I’d love to go there again for a Summer indulgence!